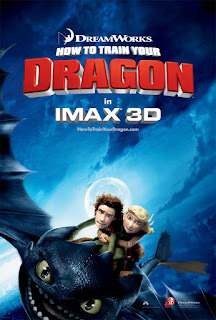 Neway, its called HOW TO TRAIN YOUR DRAGON. But... it was actually really nicE! ahha... I think this movie is really really cute! Its a bout a barbarian kid who lived in a place where everyone, everyone except him kills dragons. Apparently, he's the son of the so called *Ketua*. the movie is produced mainly to the kids... so its scary and at the same time making the kids feel safe by having the cute looking dragons that means no harm and all. I think the movie is more towards trust and faith. Its a father-son thingy. The way the hero in the movie communicates with the dragon is so hillarious! Well, some of you guys have not watch it yet so i'm not gona crack the endings and all.